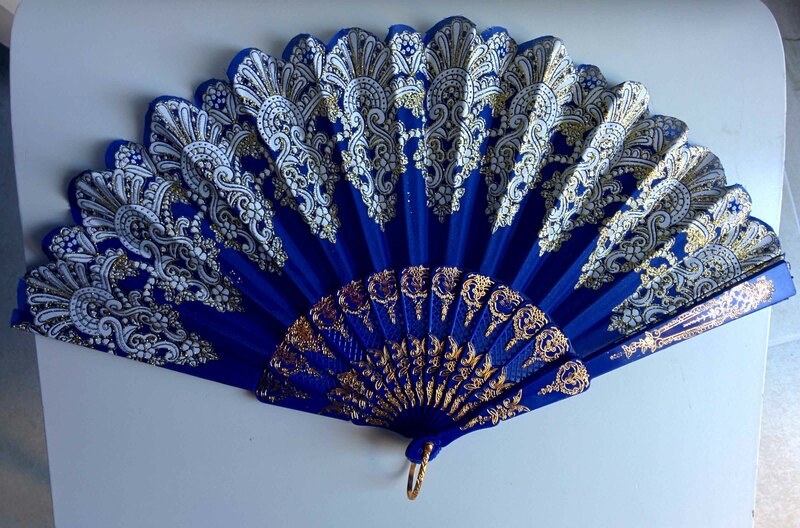 Thank you so much for sharing this beautiful fan and lovely memories. I love the colour and pattern on the fan. I haven’t made it to Seville yet but have been to Madrid, Toledo and Barcelona. I was at the beginning of a world trip so did not do much shopping. My photos were my memories of Spain but I remember going to an artisans workshop in Toledo and seeing some very intricate inlaid silver work being made. My friend bought a very nice piece for her mother. That sounds lovely (the inlaid silver). I was hoping to also make it to the area in Seville where they paint tiles, but there was not enough time. Toledo is on my wishlist too, everyone I know who has been there says it’s amazing!